Lacey never was one for standing still. The very first thing we talked about during her interview was how she’s always been “busy.” In school, she ran and took part in a number of clubs. As an adult, she’s a dedicated Occupational Therapist, teacher, and doctorate student. She also raises her son and two stepchildren and runs a home. So perhaps “busy” was a bit of an understatement. Does this sound like anyone? If you raised your hand or nodded your head just now, yeah…me, too. Lacey and my interview was mostly a very frank talk about her tendency to feel as if she always has be on the go. The only thing that she’s found it worthy to slow down for, it seems, is motherhood. This is totally understandable, seeing how for the longest time, she wasn’t even sure she’d be able to have children. 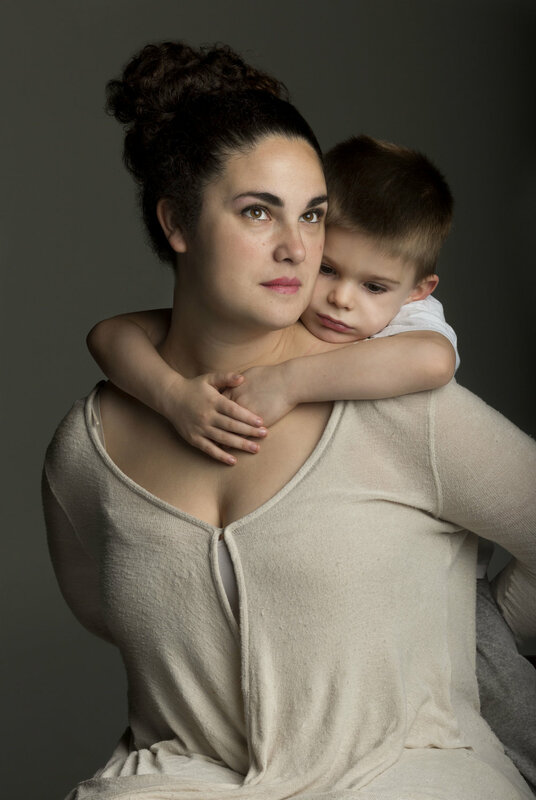 Health issues led doctors to even tell her that she shouldn’t bother trying for children herself, as she’d “just wind up frustrated.” The news was delivered many years before her son was conceived, of course, but still, they were wrong. And the intense appreciation of motherhood is definitely there. When talking about her son and stepchildren, a warmth seeps into her voice as she admits that becoming a parent has “changed the things I want to spend my energy on, and…the things that I find important.” Though she thrives when her calendar is covered in many different colors, she’s learned to appreciate the little things, and parenthood helped her to arrive there. The constant bustling didn’t stop, though; in fact, it almost became even more important as Lacey found a need to support her family added to her ever-growing list of needs. It’s a funny thing, motherhood. It keeps us busy and forever focused on a million things, and we come to feel as if all of those things define us, especially if they don’t get done. I say this, because I’m going to inject myself here. As I listened to Lacey describe herself, she did so with trepidation. She stressed that “just because [she] has a lot going on in [her] life, and just because [she’s] accomplished a lot, it doesn’t mean that nothing’s difficult.” She said multiple times that she doesn’t see herself as a “go-getter” despite her very full plate. And I can understand where she’s coming from. Lacey is very open about the fact that she suffers from anxiety. It’s something that’s always been a factor, and she feels that her need to accomplish many things largely comes from that fear of standing still. If there’s anything anxiety is excellent at, it’s downplaying those high notes. Just during our conversation, I remember feeling a huge rush of respect for her as she matter-of-factly said that she doesn’t care what people know about her. I heard her talk about her anxiety with 100% genuine honesty. I stopped to laugh multiple times playing back the recording, because she speaks with a fantastic sense of humor, even regarding dark subject matter. There were so many moments wherein that strength that she kept insisting she didn’t have peeked through. Lacey, and just about every mother I’ve spoken to both in this project and in life, seems unable to see the truly awesome bright spots within themselves. We (yes, I’m including myself in this) often hold ourselves to seemingly impossible standards — sometimes, many times in fact, we accomplish them — and with this, we still only seem to see our own negative roots. We often aren’t that great at recognizing those things that make us worthy role models for our children and for our peers. So to all of you out there like Lacey, carrying your world on your back with your head held high: You may not be aware of it, but you are noticed, you are appreciated, and you are admired. And whether you realize it or not, you deserve it.